From Gatofante, we wanted to contribute with this tiny gesture to the ‘Movember’ cause. By now, I’m sure most of you know what this is about, but in case you don’t, the ‘Movember’ movement was born with the idea of helping men to talk about their health, to be aware of their health risks and to not be afraid of taking actions to remain well. This applies to different men diseases, but in particular, to prostate and testicular cancer. In order to achieve a global attention, every year, in November, the ‘Movember’ creators challenge every man around the world to grow a mustache, as a symbol of support and to remind them not to be scared, to talk and care. You can find all the complete information on their website: movember.com. 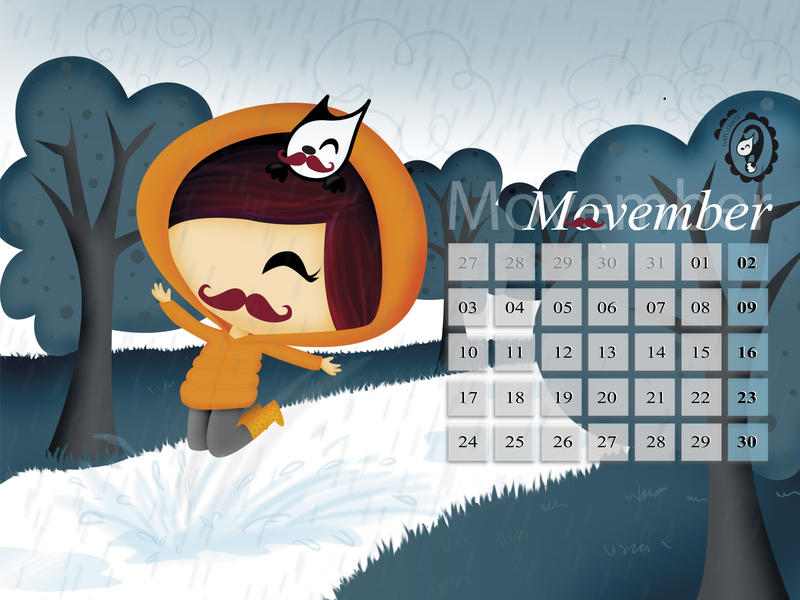 As ‘Mo Sistas’ and ‘Mo Cat’, we give you this new version of our free calendar. We hope you like it! And, most important, we hope you take care of yourselves, families and friends!